Not long ago, my colleague Stephen and I went to Boston for a high-flying flight simulator experience at Flight Deck Reality. Read on to find out more…. “We arrived at the flight simulator centre after a scenic drive through the Lincolnshire countryside and on arrival met owner and flying enthusiast Ian Hislop, who showed us the surrounding airfield as well as his very own light aircraft (something he uses to take casual trips to French markets from time to time). 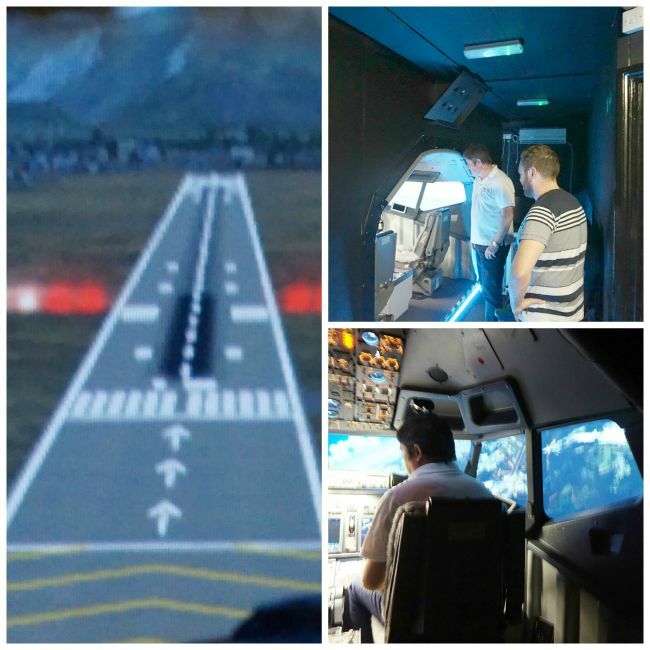 After checking out the site, we entered the flight simulator centre’s comfy lounge where we had a pre-flight chat and a few refreshments; Ian was very friendly and keen to let us know all about the operation. Then it was time to see the flight simulator itself. We entered the cabin which was equipped with an ultra-realistic cockpit (made from real passenger jet parts), a few passenger seats and a crystal clear wrap around screen with moving displays. Due to its challenging take-off and landing sequence and varied scenery, we chose to fly from the new Hong Kong airport. After taking us through some official pre-flight checks, Ian started the engines and then we were off. We both took turns to guide the craft through the clouds; the cockpit simulated real in-flight movement and the scenery was so realistic, I almost forgot we weren’t in the air! And with a live weather feed in the simulator, we were even flying in the same conditions as the real pilots in Hong Kong were on that day – it was clear and cloudy. To show off this simulators full capabilities, Ian took the reins for a while and recreated the famous emergency Hudson River landing, which offered a real insight into what it takes to guide an aircraft to the ground in a crisis – a dramatic way to round off the day! Overall, I’d say it is a great location, Ian was an enthusiastic and very knowledgeable tutor and the flight simulator itself was very impressive. If anyone would like a taste of what it’s really like to fly a commercial plane, I’d certainly recommend this experience. If you would like to soar through the skies without leaving the ground, check out our full range of flight simulator experiences.